Diabetes affects animals, not just humans and while humans generally show some willingness to modify their behaviour to improve treatment outcomes, pet owners face additional problems in that animals generally do not understand the need for intervention. Treatment plans should be based on an understanding of natural fluctuations in blood glucose levels but these are very hard to determine. “Nadja Affenzeller and colleagues at the University of Veterinary Medicine, Vienna have now shown that a commercially available system for continuous glucose monitoring can be applied to dogs without requiring the animals to be kept in a clinic. 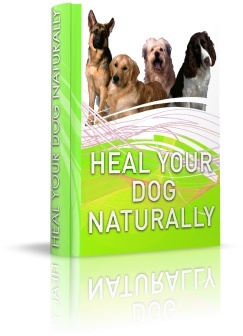 The resulting information can give valuable guidance to veterinarians to improve the dogs’ treatment. The work is published in the current issue of the journal The Veterinary Record. Diabetes has many severe consequences that can only be prevented by maintaining blood glucose levels at values that are extremely close to those of non-diabetics. There have recently been considerable advances in insulin treatment but these require a precise knowledge of fluctuations in blood glucose levels that is difficult to obtain. Measurements are generally taken while patients are in clinics but the results may be misleading as a result of differences in food intake and exercise, as well as the associated stress, all of which may lead to changes in the normal patterns. Monitoring blood glucose levels while patients – people or animals – are leading their normal lives would give far more meaningful information. Menarini Diagnostics has developed a system for the continuous monitoring of blood glucose levels in human patients. The system, known as GlucoDay, can measure glucose concentrations over a very wide range, which makes it potentially suitable for use in animals. Nadja Affenzeller and colleagues at the University of Veterinary Medicine, Vienna thus tested it in ten diabetic dogs, all of which were believed to be receiving appropriate insulin treatment. The system was found to be well tolerated and to work well under the test conditions, although one of the dogs lost the apparatus in the course of a fight and the system stopped working before the end of the monitoring period in two other cases. Despite these slight problems, the results were extremely revealing. Based on the detailed records of blood glucose levels, it was clear that none of the ten dogs was being ideally treated. The scientists were able to make recommendations for improved treatment, varying from reducing or increasing the insulin dose or changing the type of insulin to changing the animals’ diets. Affenzeller is clearly excited by the system’s potential. “The information on the dogs’ glucose levels was easy to interpret and enabled us to improve the treatment in every single case. This doesn’t mean that the vets hadn’t done their work properly but shows how difficult it is to determine appropriate treatment without detailed information of this kind.” Thanks to the application of continuous glucose monitoring systems such as GlucoDay, it may be possible to give diabetic pets the quality of treatment that to date have been possible only for humans”. Sar Rooney’s comment: Please consult a qualified animal naturopath or holistic veterinarian for advice about natural treatments for diabetes and the best ways to prevent diabetes in dogs. N. Affenzeller, J. G. Thalhammer, M. Willmann. Home-based subcutaneous continuous glucose monitoring in 10 diabetic dogs. Veterinary Record, 2011; 169 (8): 206.